Our Empowered Communities Program helps neighbors connect and collaborate to create stronger, healthier, safer and more resilient communities. The Hub Program activates a network of community serving organizations that reside in close proximity and are committed to supporting each other. The Department of Public Health and the Human Services Agency have now integrated the Neighborhood Empowerment Network’s HUBs as part of the City’s response to Heat Events in San Francisco. Social cohesion is an essential ingredient of any community’s ability to meet its disaster goals. 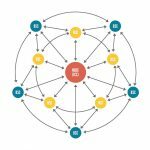 There is no better way to build that connection at the block level than by hosting a block party. The NEN uses the Neighborfest Program to help residents build high-performing teams of volunteers who come together to both craft and implement plans that bring their neighbors together to feed/care for themselves before, during and after a disaster. 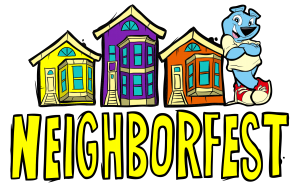 This initiative builds on the momentum of Neighborfest by converting the host into a year round advocate for preparedness amongst his/her neighbors as well as a become a powerful resource to the their community and City during times of stress, by managing/triaging the condition of their block and providing valuable data to the agencies committed to their success. 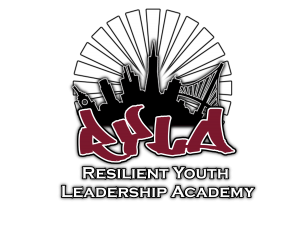 Every year, the NEN hosts two immersive, experiential leadership development programs that empower residents to become stakeholders in advancing their community’s resilience goals in the face of stressors such as climate change and earthquakes. Building on the momentum of the HUB program’s deployment in twelve communities, a cross-sector working group comprised of the Red Cross, Human Services Agency and The Salvation Army, has crafted a community preparedness strategy for vulnerable residents (i.e. seniors, people with access & functional needs, people living with chronic conditions, infants and children). The NEN Strong Congregation Program’s mission is to empower faith based organizations to achieve their internal disaster resilience mission as well as strengthen their ability to meet the health and wellbeing needs of the community around them during times of stress. The NEN partners with a group of great organizations such as The Stanford d.school and the Urban Permaculture Institute of San Francisco to convene a cohort of design professionals from across all sectors. We’ve created a “toolkit” for residents that gives them a road map to configure their homes and backyards so they can shelter in place for up to two weeks after a major event.